Lets check this one out. Maybelline Colour Sensational Lipsticks should give a fair share of their popularity to their packaging. The tall steel-looking case does look expensive.The translucent outer cap represents the colour family to which the lipstick belongs and so does the shade-sticker at its bottom. 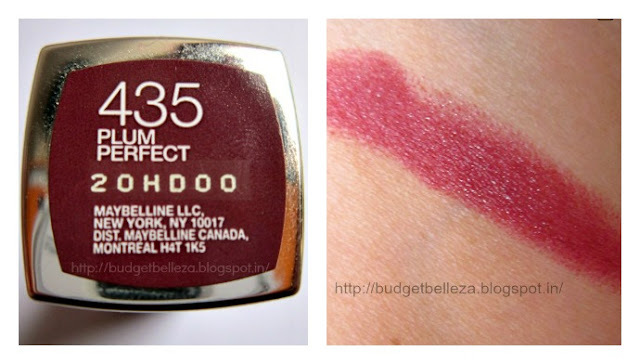 The shade Plum Perfect is a pure plum shade with obvious magenta undertones and is buildable. Its a beautiful shade that has the capability of brightening up the face. 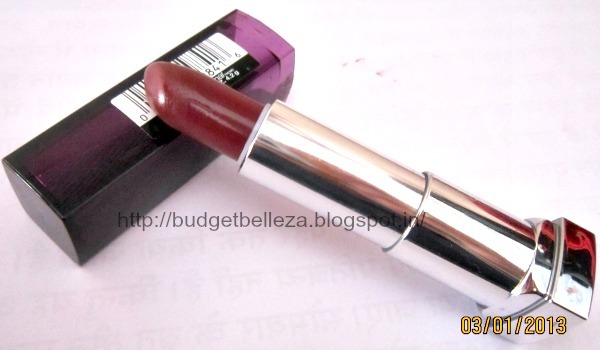 Strangely enough my complexion looks lighter and more even when I wear this lippy :) Will suit all Indian skin tones! Plum Perfect is a moisturising lipstick.Its not as creamy as their Moisture Extreme ones,still it never dries my lips out. 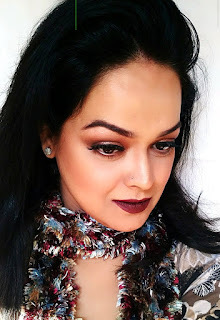 I'm generally not into deep dark shades..not that I don't like or am afraid of carrying it...its just that they add another five years to me ;) But come winters and I hide my peaches and corals back in the stash and get set on the plummy-purply mood! 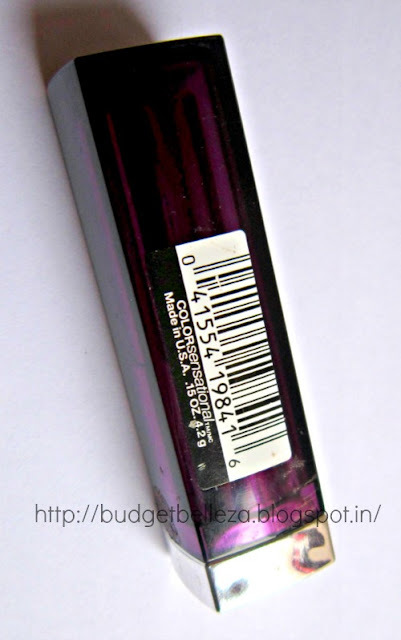 Maybelline Colour Sensational Lipstick in Plum Perfect is a highly pigmented plummy lip colour that stays on 4-5 hours easily on me and fades off with a tint behind.The formula is moisturising even in these chilly winters. The quality of the lipstick is pretty decent for the price it comes for. The shade in particular is very fall-kind..if that makes any sense! It makes me look fresher and fairer (as in subsides the uneven skin tone).It's not absolutely fragrance free but the smell can't be called overpowering in any way! Nothing really..just that I personally can't wear these shades all through the year! Maybelline Colour Sensational Lipsticks are great value for money and this particular shades rocks in cooler months. Thanx Neha..I'm sure u'll rock it ! So true Ruby..thanks so much! I don't know why, this package remins of of Boujois Sweetkiss lipsticks. I have the same shade. You have the perfect strawberry-shaped lips!! Oh Nivedita..this is the best evaaaa compliment but I guess Zoom makes them look better! 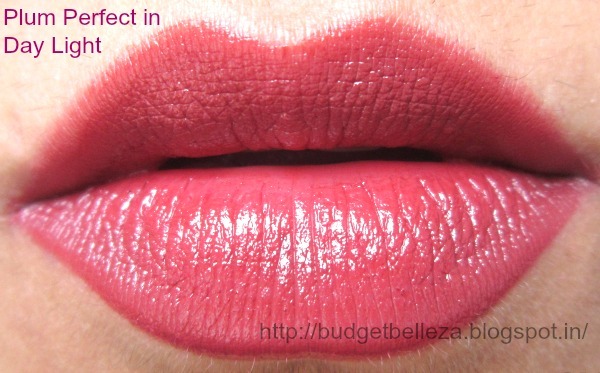 I have this shade but it transfers to just about everything. I really wonder how could you apply it so gorgeously. Lovely lip swatches. But I have a question for you. When you said it stays 4-5 hours, did you mean without eating/drinking? coz I personally feel very uncomfortable wearing such creamy lipsticks that would keep staining everything. Thanx Gaganpreet..offcourse 5hours without much lip service..but I did take mini snacks in between when I wore it. Infact I didn't even find it as creamy as their moisture extreme counterparts.. Hope I answered!